The way it's promoted, you may think that apple cider vinegar is the cure-all for just about everything, from heartburn to acne to obesity. However, the evidence to support these claims is limited, and overusing apple cider vinegar may not be good for your teeth. Consult your doctor before using apple cider vinegar as a treatment for health conditions. Proponents claim that ACV is capable of curing a number of digestive ailments, including heartburn. While there is one study published in 2014 in the Journal of Dietary Supplements that found that a gum containing apple cider vinegar, along with other natural ingredients including licorice extract and papain, helped relieve the pain related to gastroesphageal reflux better than the placebo, the results were not significant. More research on apple cider vinegar specifically is necessary before claims for its cure for heartburn can be made. Additionally, acidic foods such as apple cider vinegar may make your symptoms worse. While there are rumors that ACV can help clear your body of toxic substances, thus improving your complexion, there's no evidence that any food or drink can detox your body, according to KidsHealth. There is a connection between apple cider vinegar and blood sugar control following a meal. Limiting spikes in blood sugar and insulin levels may help in the management of acne, according to a 2009 review article published in DermatoEndocrinology. 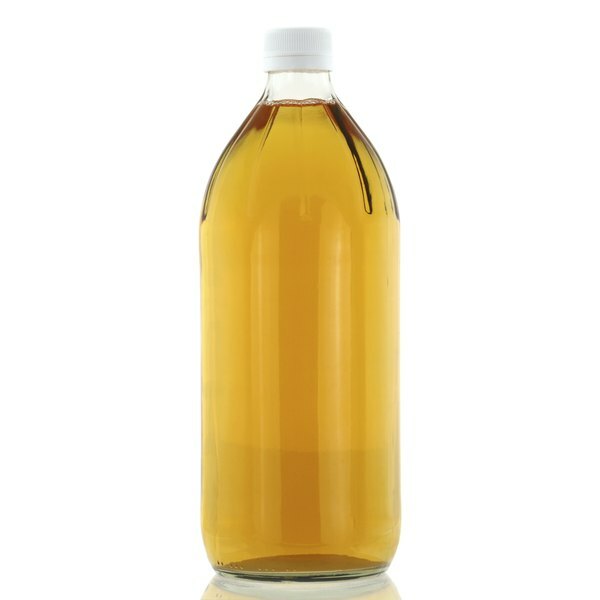 But more research is necessary in order to make a direct connection between cider vinegar and acne. Apple cider vinegar may help you lose weight by delaying your stomach emptying, which helps keep you feeling full longer. A study published in 2005 in the Journal of the American Dietetic Associated noted a decrease in calorie intake for a large portion of the day following the ingestion of vinegar. While the apple cider may help you eat less, you still need to make changes to your overall diet and eat fewer calories than you burn if weight loss is your goal. Daily ingestion of the acidic drink may affect the health of your teeth. A 2012 case study published in the Dutch Magazine for Dentistry noted poor dentition in a young girl due to excessive consumption of apple cider vinegar. The vinegar eroded the enamel on her teeth. While brushing may help eliminate some of the damage, doing it too soon may make it worse by brushing away the softened enamel. The British Dental Foundation recommends waiting an hour after drinking something acidic before you brush your teeth. To limit damage to your teeth, the American Dental Association recommends chewing sugar-free gum, preferably one with the ADA seal, for 20 minutes after you drink the vinegar. Dutch Magazine for Dentistry: Unhealthy Weight Loss. Erosion by Apple Cider.